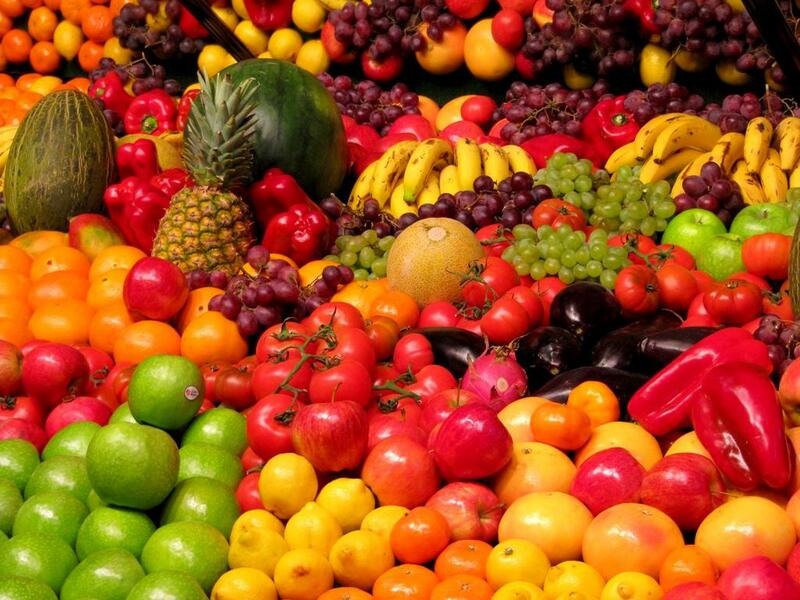 Market research organization (*) forecasts a brilliant future in the 2014-2020 period for organic foods and beverages in the world. 2014-2020. A recent study by Grand View Research, Inc. observes the organic food & beverages market to grow at about 15,5% CAGR (= Compound annual growth rate average annual growth average compound) during the period 2014 al 2020 (forecast period) according Medgadget (an independent means of doctors and biomedical engineers). The study also estimates that the market will reach US $ 212 billion by the end of that period. This can be attributed to healthy awareness of food consumption and non-organic beverages loaded with antibiotics, pesticides, etc. harmful to human health. Conversely, organic food and drinks are non-toxic and environmentally friendly. So, increased demand 10% from the 2007. 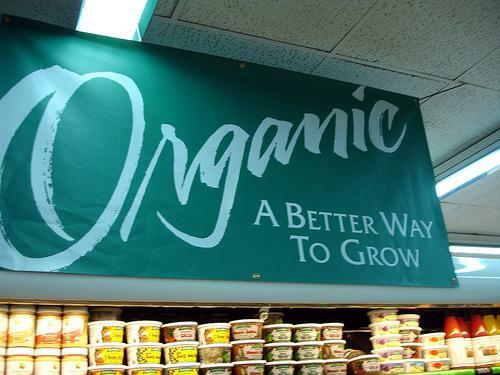 However, there are large price differences between organic and non-organic. Even more, Organic products have a shorter life counter. Even so, the future looks bright for the market for organic food and beverages, partly due to government support (in developed countries). More than one hundred sixty countries in the world practice organic farming. The US market for organic food and beverages reached almost half the world market, It is followed by Europe with a share of 44% in the same year. The Asia-Pacific will be the fastest growing in the near future. The world market is fragmented and highly competitive. 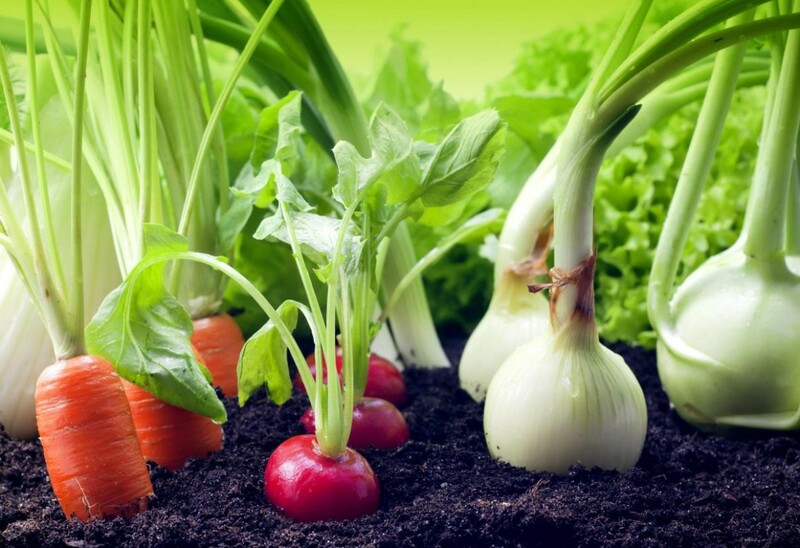 ORGANIC AGRICULTURE CAN FEED THE WORLD? Despite the millions of dollars spent by large chemical corporations trying to show that organic agriculture can not feed the rapid expansion of world stocks, some extensive and intensive studies show that differences in performance between conventional and organic farming are small and are still subject to further reductions. An article in the Only Organic Blog (1) He cites the minutes of the Royal Society of London (Proceedings of London’s Royal Society) Dec. 10, 2014 (2) what do they say: "We found no significant differences in yields of leguminous and non-leguminous crops, perennials and annuals, and those carried out in developed countries or developing. Instead we find the novel result that two agricultural practices, the multicropped and rotations, substantially reduce the yield gap (al 9 ± 4% and 8 ± 5%, respectively) when these methods were applied exclusively organic systems. These promising results based on strict meta-analysis of large data, suggest that adequate investment in agroecological research to improve organic management systems could greatly reduce or eliminate the gap in yields for some crops and regions ". The above-mentioned article Only Organic Blog adds a very important observation: "The fact is that focusing on yields are not going to cure global hunger and obesity, two of the biggest problems facing modern societies. When the American agriculture is increasing yields, it does with corn, which ends up feeding the cows or cars, no people. De facto, more than three-quarters of the calories produced on farms in North America go to livestock feed and biofuels. Corn crops really need higher yields that destroy the soil, They drain into waterways and provide only small amounts of edible food (full story: http://iopscience.iop.org/1748-9326/8/3/034015)”. So we can ask Who is primarily responsible for world hunger? Are agricultural yields or corporate interests? Monstrous international corporations producing genetically modified seeds and own the patents - not leaving their multiplication in the hands of farmers - also produce fertilizers and chemical herbicides, synthesized products to control pests and, also, often they control the production fields and machinery. A perfect noose for farmers that almost leads to modern economic slavery. But, Of course, these corporations need to have an excuse for their mega-business and found the best: world hunger. E spend millions of dollars on misleading advertising or, even worse, research trying to convince that it is only through the premises of the industrial revolution that world hunger can be alleviated. For which agricultural land have to expand deforesting, populations must translocate, no matter that the environment is damaged, that global resources are destroyed, the weather changed and, Finally, the same food production that say they want to promote being damaged. And if world hunger was not enough excuse, They found another: the need to replace fossil fuels with agrofuels. No matter if the above calamities caused by the green revolution are not for food production, but agrofuel. Else, How it would satiated the thirst for energy required for their industrial plants? The excuse this time is to replace fossil fuels. No matter that both fuels produce emissions when burned. There is a sacrosanct need for power to be produced without seeking ways to reduce. Or at least avoiding the laborious search for replacement by alternative energy. So the problem is not the difference between agricultural yields. The problem is that organic farming would lead to the destruction of the vicious circle that holds the business and the value of the shares of those monster corporations. This is the main problem and not world hunger. ORGANIC FOODS: Are they really "MOST EXPENSIVE" than conventional? One of the biggest obstacles in the marketing of organic foods is that they are "more expensive" than conventional. The truth is that prices of organic products reflect the actual cost of producing food sustainably, while external costs of producing conventionally hide in a misleading and malicious system for calculating production costs that ignores that part of the cost of production that actually we are transferring to future generations. On a busy Green Week in Berlin, IFOAM and distributor of organic food Nature & More they introduced the initiative ‘True Cost of Food’ (the 'True Cost of Food') which promotes the idea that food prices have to reflect the actual costs of production, including costs environmental and social, today ignored. The Transparency Initiative The True Cost of Food which shows consumers are the real costs of producing food organic vs. conventional. Berliner BioCompany distributor was selected as partner for the launch of the project. In a recent article of food FreshPlaza news service in which the said initiative discussed (*), the author says that "foods were never cheaper, but the cost of producing each food leads included ecological and social costs which are not counted ". “According to the Organization for Agriculture and Food of the United Nations (FAO) the hidden costs of conventional food production reached US $ 700 billion in environmental damage and 900 billion in social costs; than, added, matter 1,6 billion. If food prices reflect the real costs, organic products would be significantly cheaper than their conventional counterparts”. This is the main message of the campaign True Cost of Food as Nature & More she launched today at a press conference during Green Week Berlin. Nature & More is able to offer consumers information on actual costs at point of sale product as grapes, pears and pineapples. The article goes on to say that the campaign True Cost of Food was started as a joint effort with FAO recently published a fundamental study of full-cost accounting. He quotes former German Minister of Agriculture and politics "Green" Renate Künast stating that the externalization of environmental and social costs has been a constant theme in international food diary for decades. "Now enough talk", said, "Ensure transparency these costs at the point of sale is a revolutionary step, and a food revolution is just what we need ". Volkert Engelsman, CEO and founder of Nature & More/Eosta, It is the initiator of this campaign. At 2015 successfully led the international campaign “Save Our Soils” (Save Our Soils) which raised awareness about the dangers of global soil degradation and the urgent need to change farming methods to soil conservation. "We wanted to put a monetary value on land degradation and compare to organic products with conventional ", Engelsman said. Now FAO jointly with scientists released new models to calculate other externalized costs including food production water pollution, loss of biodiversity, climate change and the impact on health and living standards. Engelsman continued: “If we look at the numbers we see with crystal clarity than conventional foods should be considerably more expensive than organic. Now we can show how great is really the difference. What are the environmental and social costs are transferring children nuestos, grandchildren and Nature? To make them transparent, we have developed a communication tool called True Cost Flower (Flower True Cost) Nature & More. This allows the consumer to see the costs at a glance ". Also, during the press conference, Markus Arbenz, director of IFOAM, co-host of the conference, emphasized the need to internalize costs such as purification of drinking water contaminated with nitrates, impoverishment of producers, the deterioration of soils, livestock uncared for animal welfare, and the many species being driven to extinction. We say we do not want this to happen, "But it is happening", dijo Arbenz, adding "the pollutant is who should bear these costs instead of putting them on the shoulders of public, the farmers, future generations or the environment ". Felix Prinz zu Löwenstein, presidente de la German Association of Ecologic Agriculture BÖLW (German Association for Organic Farming, BÖLW), he added: "The transformation has begun. The farmers, processors and distributors of organic food with consumers point where the future of sustainable food production is. However, this will work extensively throughout the chain only if the prices of our food products really show the truth ". The partner of the initiative, Bio Company Company, It is known as the first retail chain stores that transmitted the message in their outlets. su CEO, Georg Kaiser, said, "We are excited to be the first food store in Germany in communicating actual food costs. The first results confirm that the decision we made was the right one: organic is the direction to follow ". 1. What is arsenic? / What is arsenic? Producers like rice producing companies in the United States takes great pride in providing the consumer with a healthy rice, good quality and nutritious. We know that the word arsenic is an alarming word to many consumers and you may have doubts. Note on with Dr. Marcelo Elizodo, program "Those Looking To The World" SA case of Organic Rice Organic Latin America, August 2012. Evaluation of existing studies on life cycle energy consumption and greenhouse gas emissions for the dairy sector, cerealero, oilseed and beef as well as surveying the concerns and expectations of these sectors with a view to its international insertion.